The periodic table of elements in its current form. 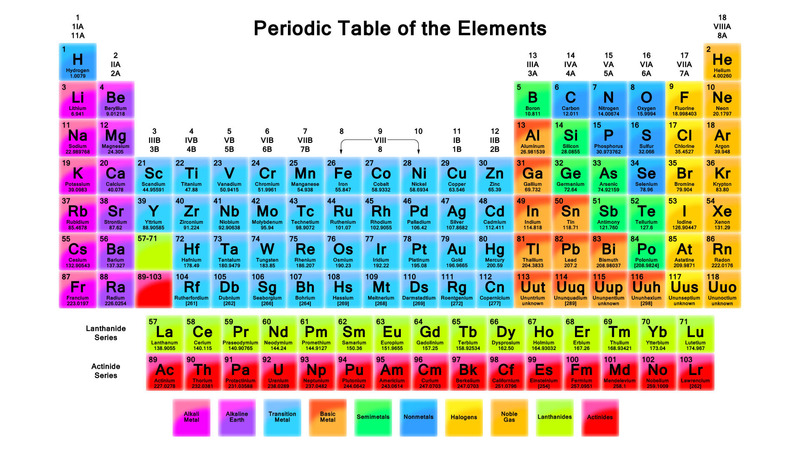 In 1869 Russian chemist Dmitri Mendeleev published the first version of the modern periodic table of elements in which he classified chemical elements according to the number of protons in their atoms. It is a fascinating tool to categorize and organize chemical elements. Elements which share similar physical characteristics and chemical behavior are put together in groups, periods, and blocks to make it easier for students of chemistry and scientists to work with them. As a student of social sciences, I would like in this post to give some reflections about the implications of organizing elements in this particular way.